When you have a loved one with Alzheimer’s disease, celebrating holidays can be tricky and disaster-fraught. It’s important to be prepared for a holiday and the emotions and logistics it may bring up. 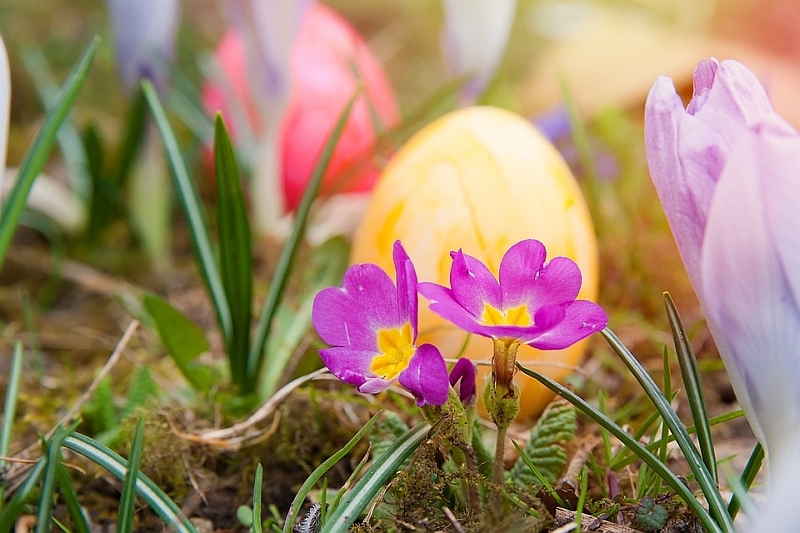 With Easter upon us, let’s review some of the best tricks and tips for celebrating a holiday with a loved one with memory loss or memory confusion. First of all, lower your expectations. Expectations can be the killer of joy. We want things to go a certain way, we think things will go a certain way, and then when they don’t we are angry or bitter or disappointed. So, let’s start with a clean slate. The holiday will go as it will go. Maybe it will be blissful. Maybe all the relatives will get along, maybe the food will turn out perfectly. Maybe your loved one with Alzheimer’s won’t be overwhelmed or panicked. Or maybe it won’t go like that. Maybe people will fight over politics. Maybe the food will get burnt or maybe your reservations will be lost. Maybe your loved one won’t be able to handle all of the festivities and start to deteriorate. Either way, this is your holiday. It is what we make of it. We will enter the day with joy, knowing that no matter which way it goes, we brought ourselves to that moment and honored the day with our presence. Second, plan for the day you know your loved one can handle. We are all different, and even among those with memory loss, some are able to sit with larger groups of people and some are easily overwhelmed. How many people is too many people? Does your holiday tend to get loud and boisterous? If so, maybe you need a space or a quiet room in the house where your loved one can go and be alone or have some quiet moments to recharge. If you are celebrating at an assisted living home, what can you do to make the day special for your loved one? Can you bring in her favorite food? Or maybe some of her decorations that she’s used every year that may bring comfort or jog happy memories? Find out what kind of holiday celebrations are already in place at the assisted living home and join in on those if you can. If you are taking your loved one out of an assisted living home to celebrate for the day, make sure that you have safety precautions in place for wherever you are going. Are there easy ramps for walking? Secure premises where no one can wander off? Do the other people you are going to be around know the mindset your loved one is in? Make sure you bring all pertinent medications and know the best kinds of food for your loved one. Check in with the nurse or doctor and make sure it’s okay for your loved one to travel for the day or change venues. This can be a stressful situation for someone with Alzheimer’s disease or dementia and you don’t want to exacerbate anything. Finally, make sure that some part of the day reflects the person you know your loved one to be. Revive a tradition that your loved one found important. Cook his favorite food for him. Spend time remembering past holiday celebrations and what those days held. Sometimes long ago memories can surface on special days. Listen to music or create art together. This should be a day when both of you are able to enjoy each other and enjoy something special together, whatever that may look like for you.